Brandimage, a leading agency of brand equity architects and designers, announced last years they designed the new architectural concept for SkyTeam lounges. I had a chance to experiment it at Hong Kong international airport, before boarding the Air France A380 to Paris. Opened in October 2015, Skyteam lounge is located at basement floor of Hong Kong international airport without any outdoor view, just below shops and restaurants ; the spot is certainly not the best we could imagine for a business class lounge… But what makes this brand new Skyteam lounge different is definitely its outstanding design and atmosphere. First of all, the bright and modern design is very surprising, especially when you already visited a lounge from this airlines alliance in the past. Indeed, shiny tones and futuristic design are quite a change compare to dark carpets, vintage seats and “basic” floor plan that any frequent traveler is used to ; then materials make also a huge difference, thanks to raw wooden furnitures throughout the lounge and a stunning vegetal wall at entrance. All of these elements give to this luxury cocoon a perfect ambiance to wait serenely and peacefully for a flight, which is a great successful point for Brandimage design agency. On the other hand, it’s also important to consider catering and occupancy. Waiting for an A380 flight at midnight in Hong Kong, we can obviously say it was peak time so the place was – quite – crowded. However I still found easily a seat and food was always available ; if you don’t mind the queue I had to do at buffet.. And regarding food selection, it was mainly constituted of Asian fusion dishes with the usual wines, alcoholic beverages and soft drinks menu for this type of lounge. Visited in December 2015 – Hong Kong International airport, Hong Kong. 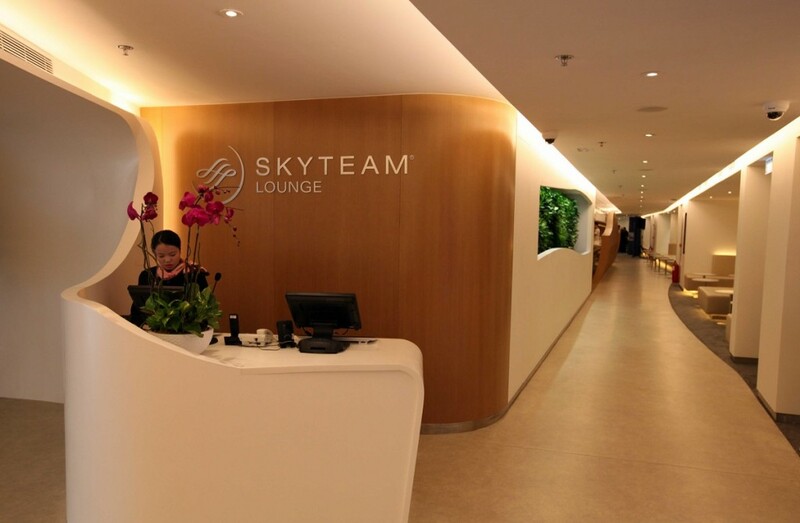 Access to Skyteam lounge granted to all Gold and Platinum members of any Skyteam airline alliance program, as well as business class passengers. 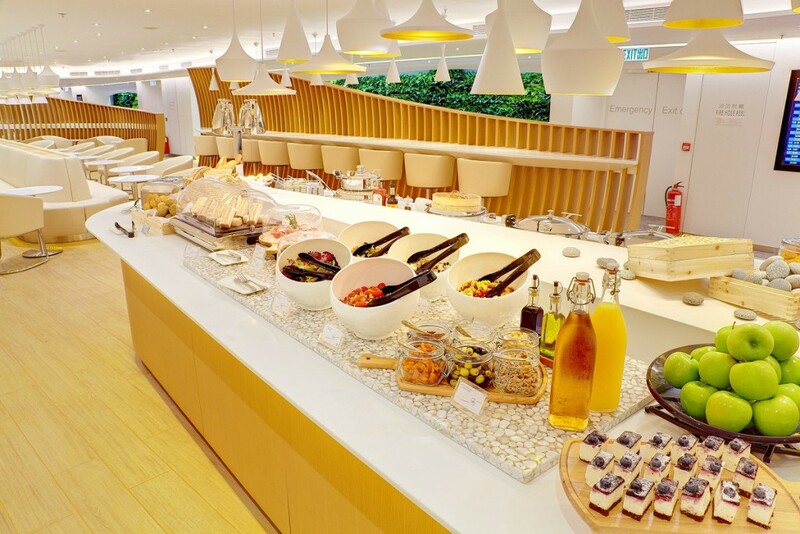 I used the Skyteam lounge in Sydney for the 1st time last month and I have to say I was quite impressed. I was expecting it to be really crowded (what with all the member airlines’ passengers sharing one lounge) but it was really organised and quiet. No boarding announcements too, which proved to be a refreshing change.